An extremely powerful synthesizer from Studio Electronics. The Omega 8 is an eight voiced synthesizer and sound design powerhouse. Its multi-trimbral voicing is fully stereo giving you a wide audible image, making your beautiful sounds come across as a full as possible. With loads of filtering and modulation options, the only limit is your imagination. 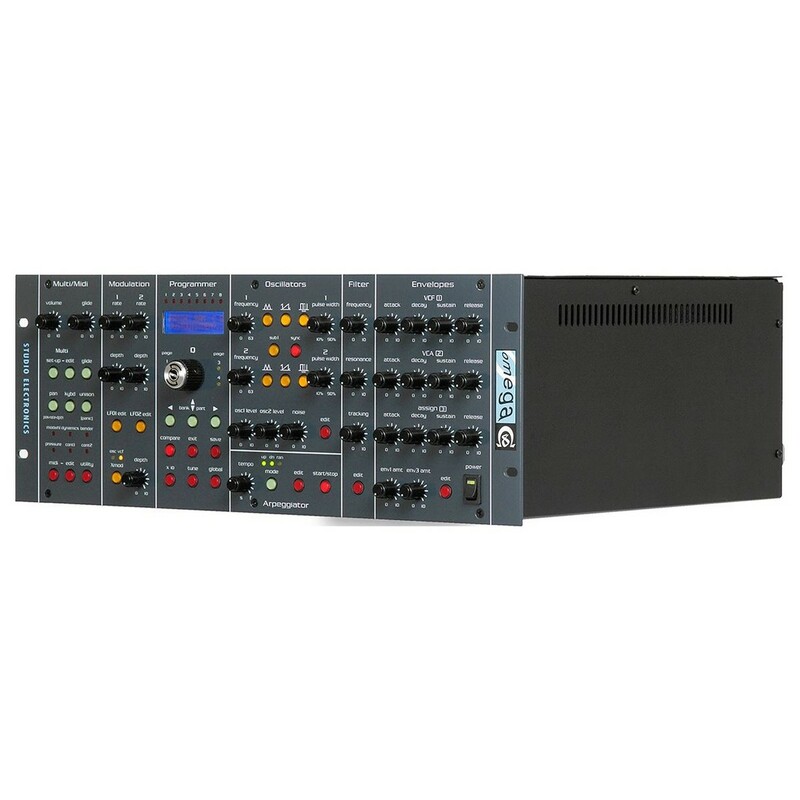 With MIDI control, dynamic signal processing, and expansive modulation. 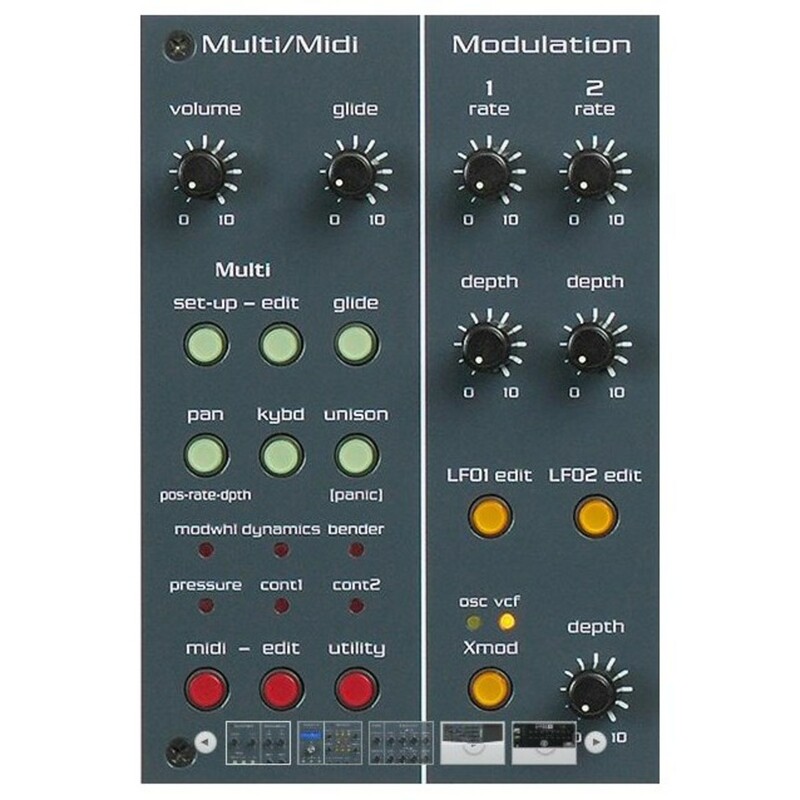 It is an incredibly capable tool for generating clean, high quality synthesized sounds. With beautiful deep pads, thumping basslines, bright, vibrant leads, drums and all manner of crazy sounds. Be inspired by one of the most robust synthesis systems. This is one powerful analog rack synth. Its huge size and weight houses unprecedented synthesis capabilities. The Omega 8 - as its name suggest - is an eight voiced synthesizer beast. It features two oscillators for polyphonic goodness, with a filter and amplifier for each voice. There are three awesome contour generators that allow you to shape your sound how you like it and you will find things to like (or love, really) about this incredible unit. The Omega 8's two oscillators are controlled digitally with a verging on perfect software routine. Studio Electronics, state that to make it fully perfect would detract from the classic analogue randomness and detuning. You can set the level of this near perfection with Studio Electronics Accu-tune. Triangle, Sawtooth and Variable Pulse waveforms are all available for you to dial in and with them you can creature incredibly detailed sounds. Each of the eight voices can have one of the filters attached to it, giving you loads more scope for shaping sounds. There is a standard Omega 8 filter, an SEM-style filter and another filter which features a 24dB/Octave low pass filter. Easy to control and dial in, the Omega 8's filtering prowess is something to behold and you are able to get sounds you have never dreamt of creating. 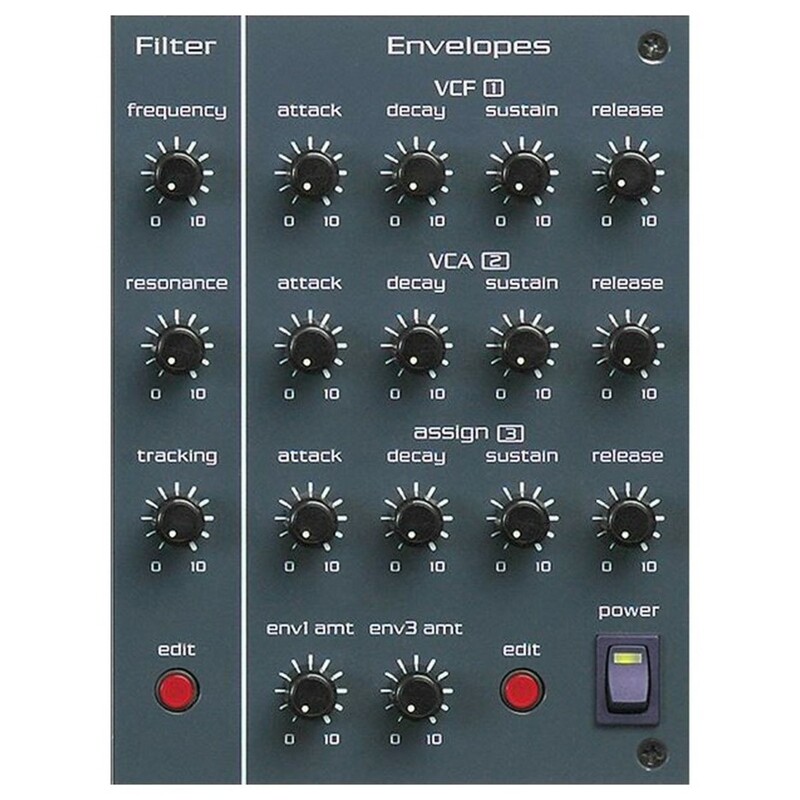 The envelopes and LFO's this incredible synthesizer are calculated by DSP. Unlike other digital envelopes that can be found, the Omega 8's envelopes are quick to the point and sound great across a multitude of settings. Envelopes are supposed to really help you craft the feeling of a synthesized sound and the Omega 8's envelopes do not disappoint. 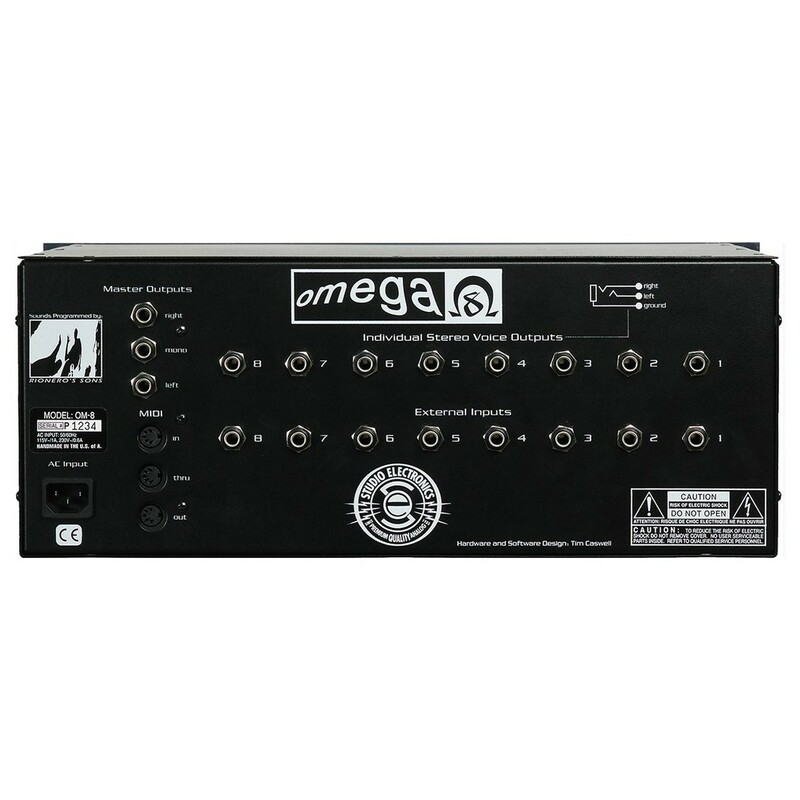 The Omega 8 features two low frequency oscillators which are used for modulation. The modulation when applied sounds thick and the movement is something to behold. You can even use LFO Quantisation to help keep things locked in place for musically sound movement in the your sound design. There are loads more features that comes as a standard part of this synthesizer. 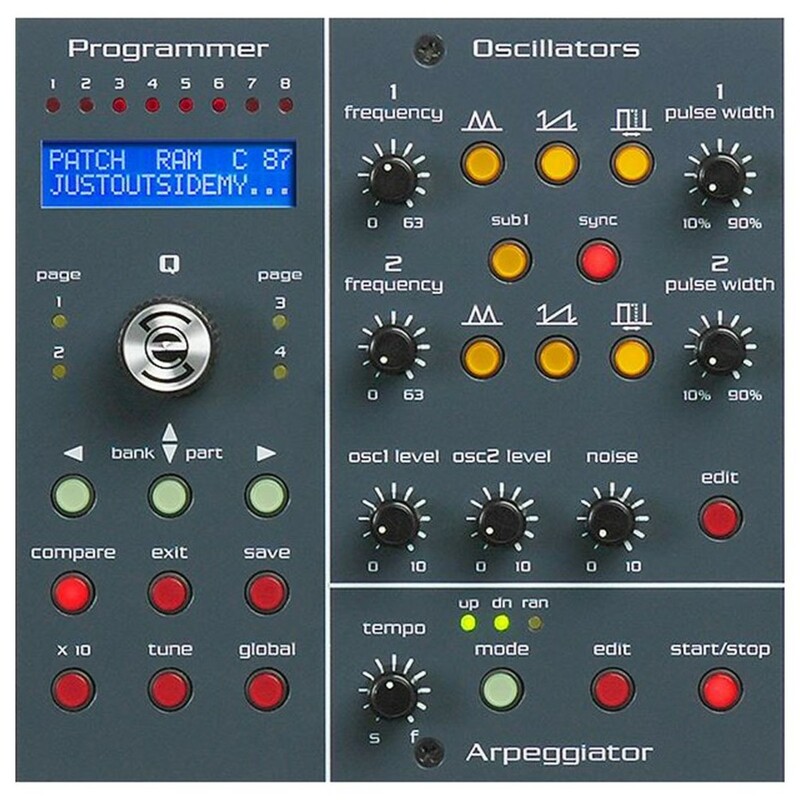 There is an arpeggiator and a multimode with all the modes you would even need to give your sounds compositional movement. There is loads of MIDI functionality with expert keyboard tracking to give you a huge chromatic note range. Glide and Pan are able to be dialed in and of course the Omega 8 can take external sources. 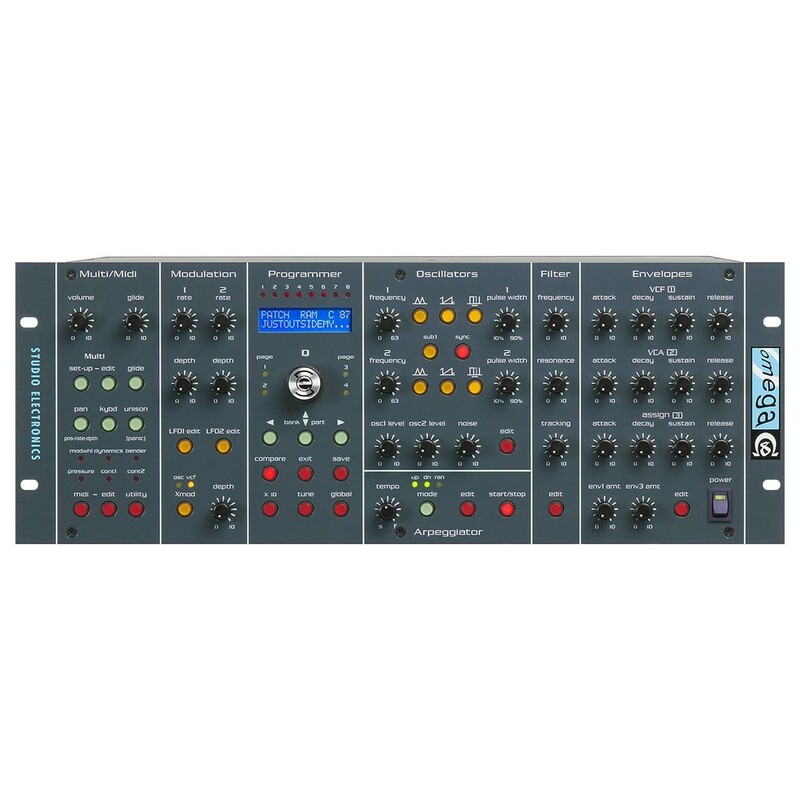 Its features justify its price, and if you're an avid analog advocate, then this is the synthesizer you need. Analog Inputs:	8 x 1/4"
Analog Outputs:	11 x 1/4"